In sci-fi anime Psycho Pass, authorities wield a precrime suppressor called the “Dominator.” We’ve seen a model version for sale before, but we haven’t seen one like this. 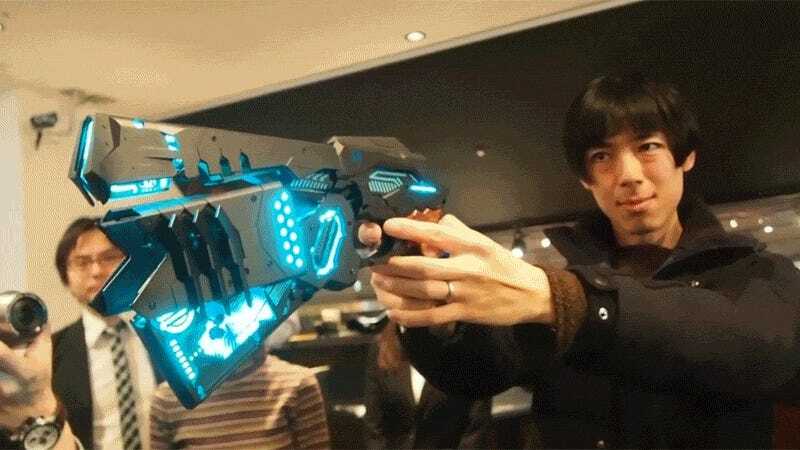 This real-life version of the portable brain scanner gun can even transform like it does in the anime. According to ASCII, this one-to-one scale recreation is even outfitted with a small camera and can connect to smartphones for real-time streaming via smartphone app. All this isn’t cheap: the Dominator is priced at 86,184 yen (US$737) with pre-orders starting on February 18 in Japan.